The Choir of All Saints has a rich and varied history. The origins of the Choir date back to 1895. It was recently re-established in the year 2000. The Choir as it is today consists of around 15-20 voluntary singers of mixed voices, and has a wide range of ages. 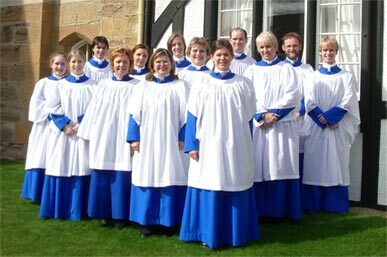 Members of the choir are drawn from the local Hobart area, and come from a wide variety of backgrounds and professions. The repertoire of the Choir spans Gregorian chant and music of the Polyphonic schools to 20th Century music. The Choir sings at High Mass on the 4th Sunday of each month, and Choral Evensong on the 2nd and 5th Sundays of each month. The Choir also provides music during special feast days on the Church’s calendar. The Choir welcomes and encourages new members of all voice types. If you are interested in joining the Choir please contact our the parish office, or go to our joining page for more information.